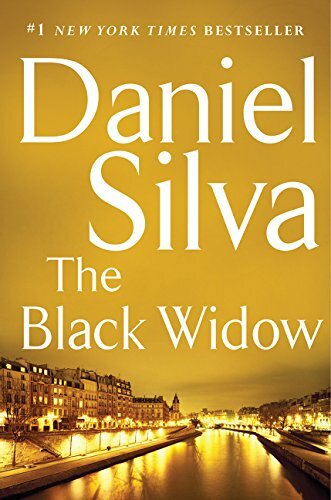 In The Black Widow, author Daniel Silva once again ties the reader up in knots with a fast-paced thriller featuring his hero, Gabriel Allon. The timing of this story could not be better. A leader of ISIS, named Saladin, is wreaking havoc throughout Europe, and none of the experienced espionage agencies with all of their state-of-the-art technology can identify this man. The book opens with a scene of horrific devastation when a terrorist truck bomb attack is carried out at a conference in Paris. A heavy loss of life follows. This action sets into motion an intriguing plan to track down Saladin from inside ISIS. The trick, of course, is to get someone inside ISIS! Enter Gabriel Allon, thought to have been killed on a previous mission, now soon to be named as Chief of the “Office,” Israel’s most sacred spy organization. The plan is well laid out but requires help from an alphabet soup of entities from other countries, each with its own strengths and struggles. At its base, the idea is simple: infiltrate ISIS with a woman, a black widow, a woman thought to be seeking revenge. The perfect candidate is Natalie Mizrahi, a female, a doctor, and a Jew. She is approached, and the idea is spread out before her, with the option to reject it. Initially she takes that option, but is quickly turned, at which time her intense training begins. Silva is an expert at laying out the groundwork for this plan in minute detail. Natalie is immersed in life-altering changes. While her medical training is an asset to her cover, she is transformed from Jewish doctor to Palestinian doctor with a reason for revenge. To accomplish the goals set before her, she must go from the freedom she experiences in her true life to the restrictions she must learn to live with in her life of fiction. Even once her initial deep training is completed, it must continue on a variety of levels. She moves into the world of ISIS with ease but has yet to encounter Saladin. And that occurs in the most unexpected way: when he is seriously injured in an attack by American forces and his life hangs in the balance. The very idea of a woman ministering to a man in this world where women are suppressed is unthinkable, and yet she is the only option available to bring this man back from the brink of death. She succeeds in this endeavor, and Saladin initially keeps her close to his side but eventually returns her to Paris with a promise of bigger plans when he explains that she will have a primary role in his next attack—an attack on America that will force its leaders to bring the fight back to ISIS territory and to the caliphate. He does not share details with her, but rather with another woman, Safia, who has proven herself as a valuable asset to the ISIS movement. During this time Natalie, now Dr. Leila Hadawi, must follow Safia’s directions with no knowledge of where it will take her. Silva easily blends high technology with everyday manpower to keep Gabriel Allon and his team one step ahead of the terrorists. At the same time, nothing is quite that easy, and Silva shows the worst side of terrorism in the buildup to the story’s climax. Each page is rife with exciting actions and reactions, and Silva ties up most of the loose ends. That is, most of them. Silva lives up to his reputation as a foremost writer of spy thrillers. This book turns its own pages!